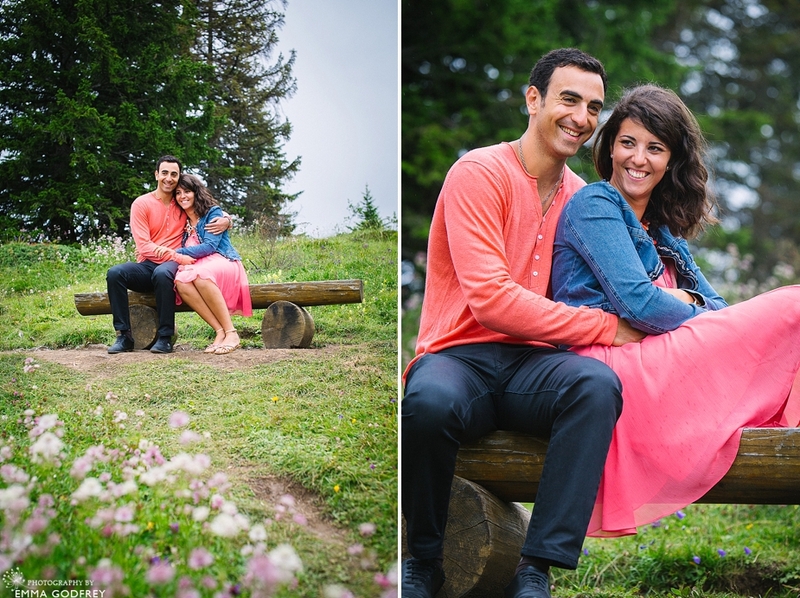 With a close eye on the weather and another watching the clouds creep along the valley, we headed out to meet Silvia and Michel at the picturesque Col de la Croix for their alpine e-session. 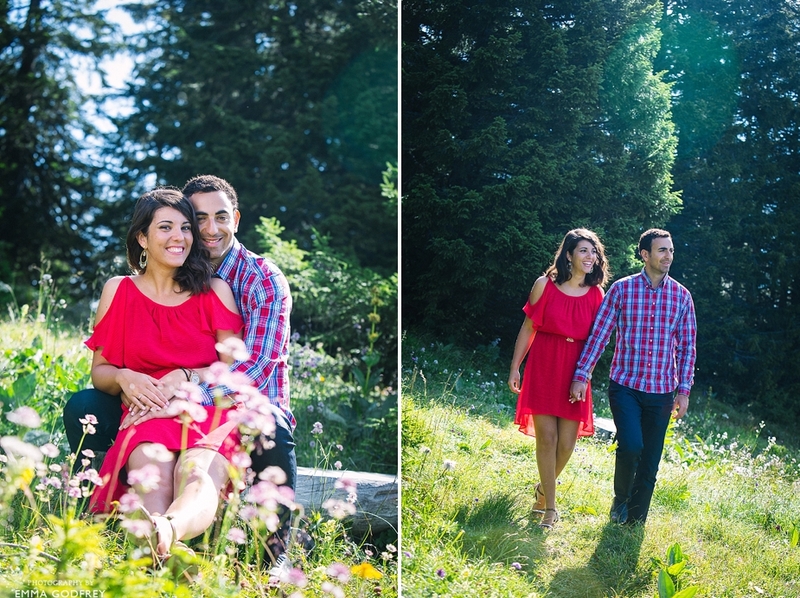 Optimistically we started their e-session on the Diablerets side of the Col, where the sun was still shining and the bright pink corals of Silvia’s dress brought out the colours in the flowers. But as we walked the few meters back to the other side, towards Villars, the temperature dropped and we could see the cloud getting closer and closer. 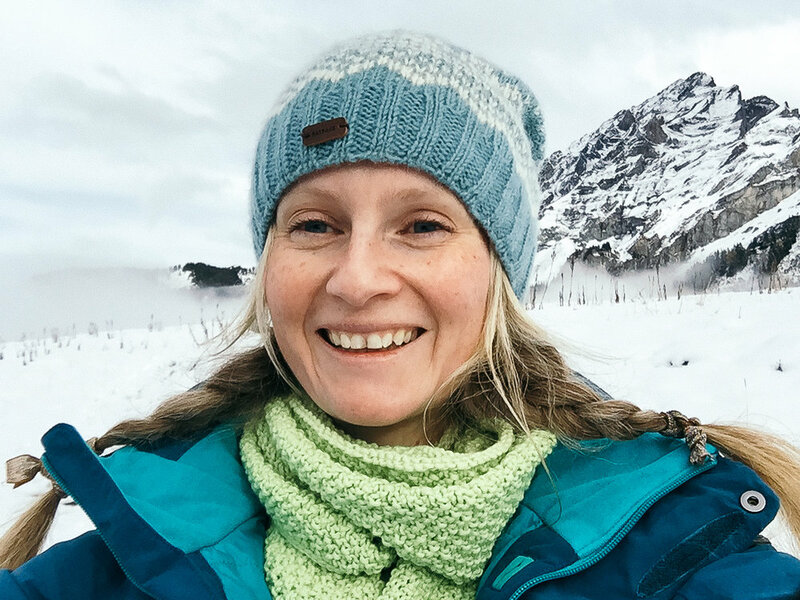 A cloudy sky can make for beautiful photographs, as the light is soft and flattering. Michel hugged Silvia in tight to keep her warm and we managed a few atmospheric shots before J told us we had 10 minutes before it was going to rain. A very black cloud was rushing towards us and his timing was spot on. Dashing back to the cars we dodged the hailstones. As the storm settled in we conferred and decided to try again later in the week. Engagement photo shoot take 2 and the early morning sun was glorious and warm. We wandered around the rocky paths of the Pyramides de Gypte and had a wonderful time clambering in an alpine paradise. Our patience was rewarded with stunning views which inspired Sylvia to ask for a ‘jumping’ photo because it felt like they were on top of the world! 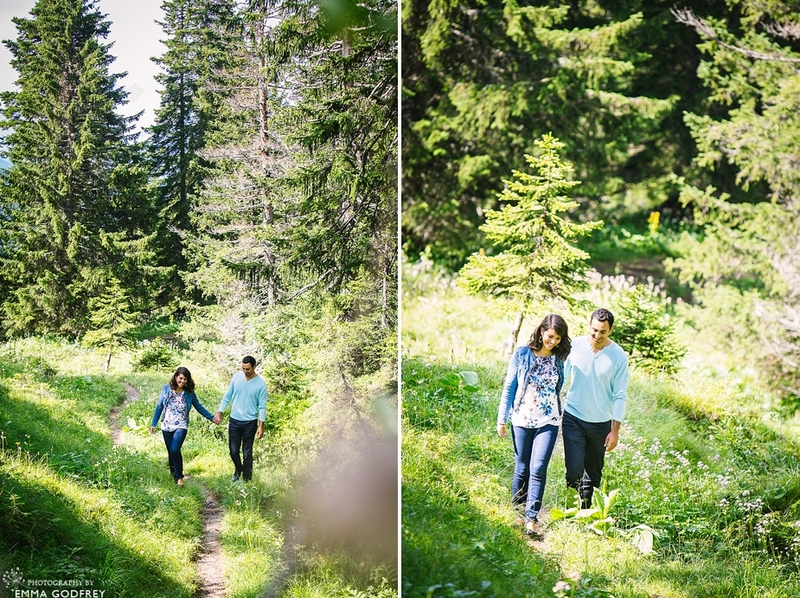 Here’s to some inspirational moments for their September wedding at the Kempinski Vevey and the Grand Hôtel du Lac - and finger’s crossed for an Indian summer.